West Shore Railroad (WTSE) When Conrail petitioned to abandon the Mifflinburg line in 1982, a co-op feed mill in Mifflinburg was faced with shutdown without rail service, so they, along with a couple other shippers and a group of railfans headed by Richard Sanders, incorporated the West Shore RR in October 1983. 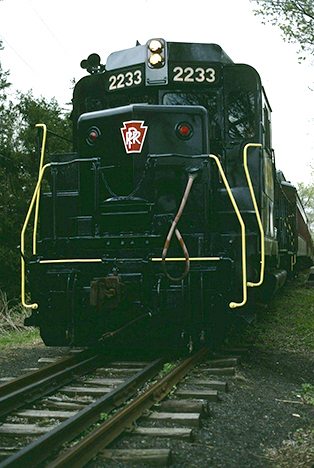 They acquired the line and a former PRR SW1 switcher (CR/PC 8525) from Conrail. The freight operations began around Feb. 1984, and shortly thereafter a PRR P70 and a former Jersey Central(?) 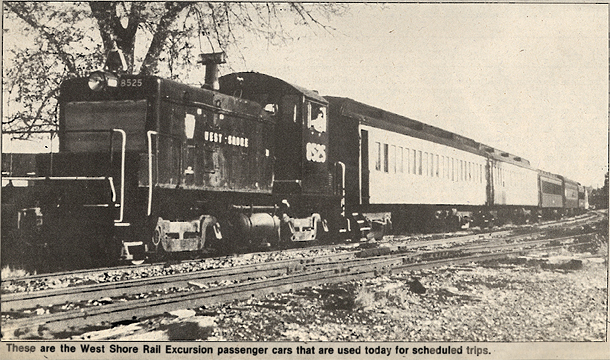 passenger car showed up from the former Adirondack Scenic RR, as well as a NYC caboose with bay windows and an aborted cupola. 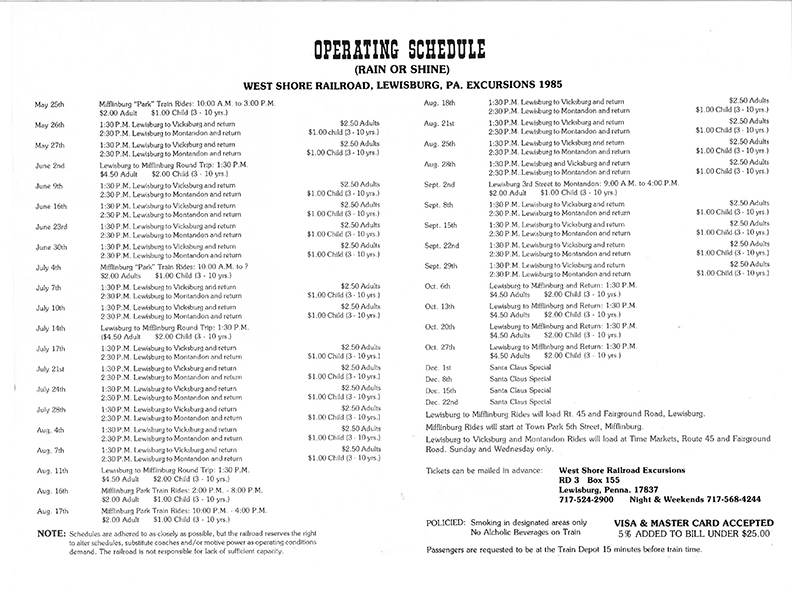 The inaugural run of the West Shore Railroad between Lewisburg and Mifflinburg took place on May 26, 1984. 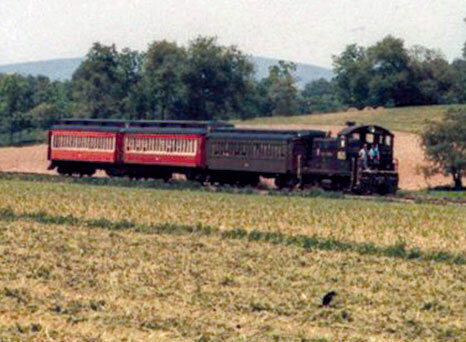 Passenger excursions ran at first from the Time Markets (a chain Sanders owned at the time) at Fairground Road and Rt 45 on the west side of Lewisburg west to Mifflinburg and return. Eventually, Sanders set up “excursion stop” at a “station” (actually an agricultural loading building with loading doors) in Mifflinburg, and operated there for a while. 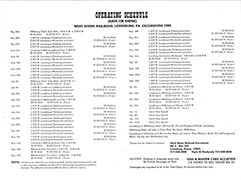 The UCIR formerly operated the West Shore Railroad (reporting mark WTSE) from Lewisburg to Mifflinburg, but service ended in 1997. 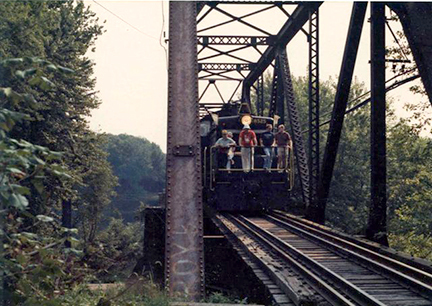 The West Shore's #8525 SW1 was their first locomotive and was painted black. In the later years of operaion #8525 received a new paint job with a large red strip outlined with 2 smaller yellow stripes. 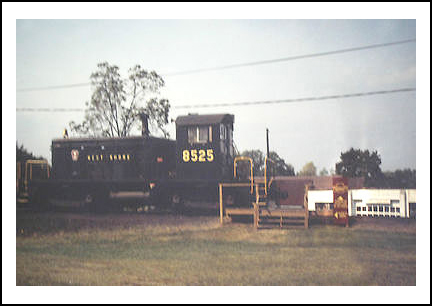 Eventually #8525 went to the Lewisburg and Buffalo Creek railroad in Lewisburg and was renumbered #9245. Newspaper Photo of West Shore #8525 SW1. 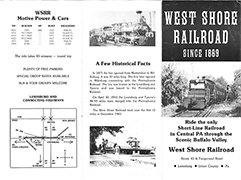 Newspaper Article about the West Shore Railroad. 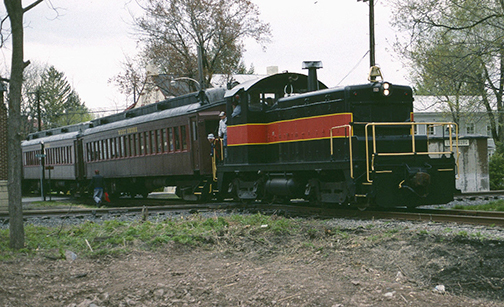 Chartered in 1853 as Lewisburg, Centre ans Spruce Creek Railroad. Later as Lewisburg and Tyrone R.R. Always operated by P.R.R. 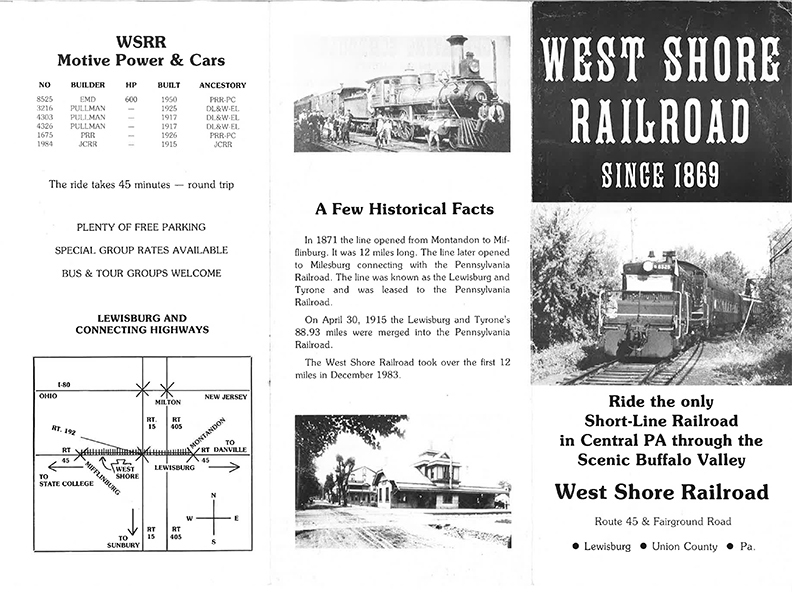 owned by West Shore R.R. since 1983. 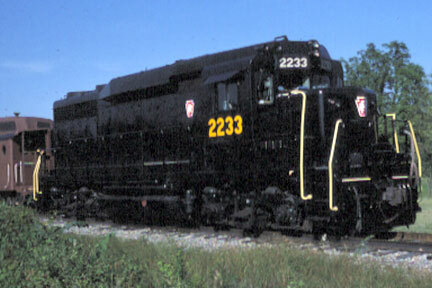 GP-30 #2233 Ex-P.R.R. and D.L.&W. coaches. West of Mifflinburg Pa. in the Buffalo Valley. 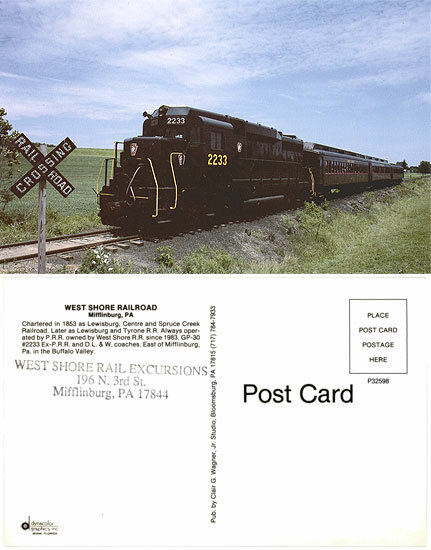 West Shore GP-30 #2233 leading a passenger excursion near Mifflinburg, PA.
West Shore GP-30 #2233 at the head of several passenger cars. 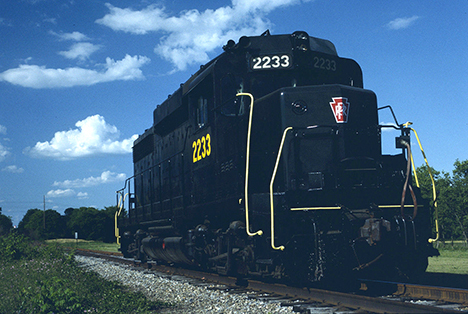 West Shore GP-30 #2233 sits alone on the tracks.